Disney’s animated ice queen will be back in theatres in November, and this time she’ll be valiantly tackling new elements. Disney unveiled a long-awaited teaser trailer for ‘Frozen 2’ on February 13, which shows Queen Elsa reuniting with some buddies — including Olaf, Kristoff, Princess Anna and Sven the sweet reindeer — from adventures past. In the trailer’s opening, Elsa stands on a stormy beach, looking determinedly out into a violent ocean. She readies her feet and runs full force into it, only to be swallowed by colossal waves. Back on shore, she tries again. The Academy Award-winning team from the wildly popular 2013 film is back, with Lee and Chris Buck directing; Peter Del Vecho producing; Idina Menzel, Kristen Bell, Jonathan Groff and Josh Gad voicing the characters; and Oscar winners Kristen Anderson-Lopez and Robert Lopez writing songs. ‘Frozen’ won Oscars in 2014 for animated feature and an original song for ‘Let it Go’. It is the highest-grossing animated film of all time, earning nearly $1.3 billion worldwide. 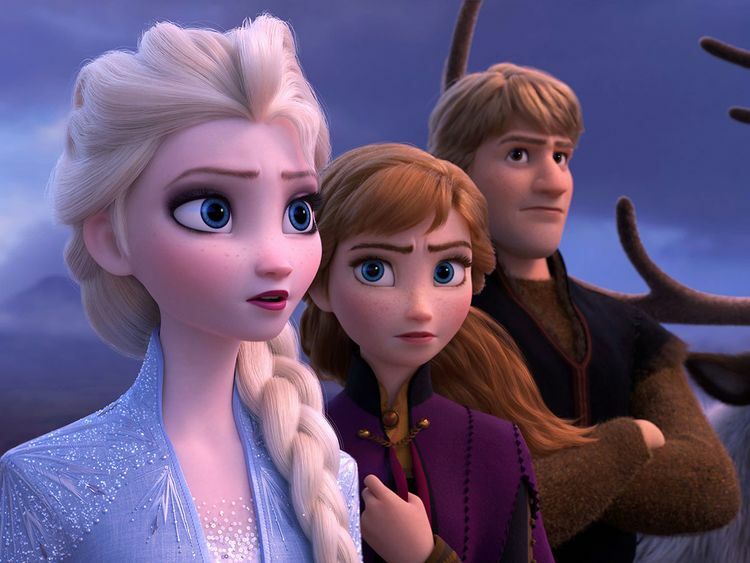 ‘Frozen 2’ opens on November 22 in the US.